This November we’ll be taking part in Book Week Scotland. 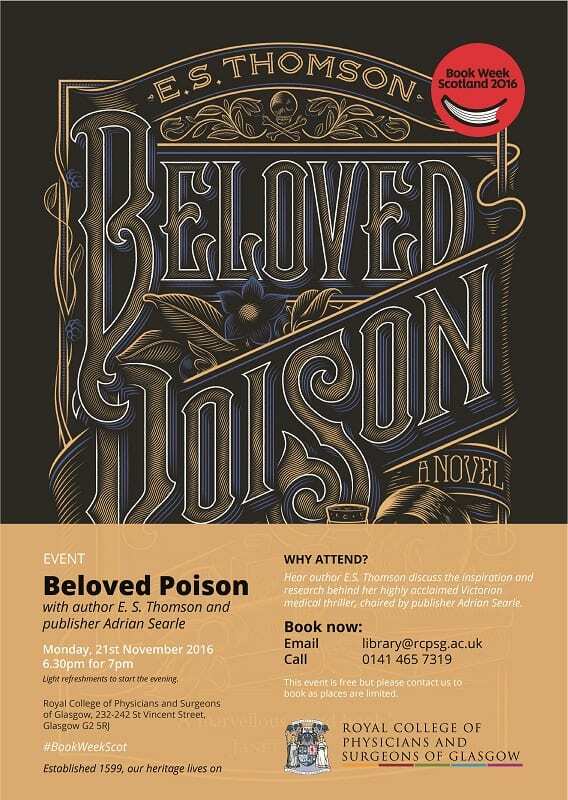 We’ll be joined by Author ES Thomson, who will be chatting with publisher Adrian Searle (Freight Books) about the inspiration and research behind her highly acclaimed Victorian medical thriller, Beloved Poison. Set in Victorian London, Beloved Poison follows apothecary Jem Flockhart who makes a gruesome discovery in the gloomy chapel of St Saviour’s Infirmary. The story takes the reader from the bloody world of the operating theatre to the notorious squalor of Newgate and the gallows as Jem struggles against a powerful adversary to unravel the mystery surrounding six tiny coffins filled with dried flowers and mouldering rags. Join us from 6:30pm onwards for a glass of wine before Elaine and Adrian take to the stage at 7pm in our beautiful Lower Library. The event is free to attend but please contact us to book as places are limited. 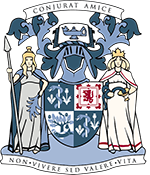 You can book at library@rcpsg.ac.uk or by calling 0141 221 6072. Elaine Thomson has a PhD in the history of medicine and works as a university lecturer in Edinburgh. She was shortlisted for the Saltire First Book Award, the Scottish Arts Council First Book Award, and the McIlvanney Prize 2016. Adrian Searle studied History Edinburgh University and Creative Writing at Glasgow University. He is founding co-editor of Gutter. Freight Books won the Saltire Society Literary Award for Scottish Publisher of the Year 2015.